Why would I need self storage in Madison Heights, MI? There are a variety of reasons why you might need self-storage in Madison Heights, MI. How much is a storage unit in Madison Heights, MI? The cheapest storage unit in Madison Heights, MI is $25.00 per month. What size storage units do you have available in Madison Heights, MI? In Madison Heights, MI we have sizes that range from 5'x5' to 10'x30' to suit your storage needs. How much is it for a 5'x5' storage unit in Madison Heights, MI? The cheapest 5'x5' storage unit in Madison Heights, MI is $25.00 per month. Madison Heights is a mid-size Michigan suburb, home to a thriving community that enjoys its leafy streets, green spaces and many commercial centers. Just over 10 miles north of Detroit, Madison Heights offers the comfort of a small city with easy transit to the big city. The community of Madison Heights dates to the early 20th century. Early growth in Madison Heights moved slowly as the area gained gas lighting, a school district, financial institutions and a retail center while still part of Royal Oak Township. 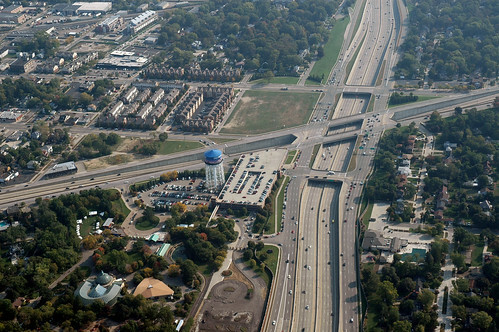 In 1955, Madison Heights was incorporated as a city, and a few short years later, the expansion of Interstate 75 allowed for quick access between the new city and nearby Detroit. The population of Madison Heights peaked in the 1970s, slowly decreasing for many years until growth returned in the mid-2010s. Madison Heights is home to numerous midsize and small businesses that provide a variety of local jobs. Health care provider St. John Oakland Hospital and logistics company United Parcel Service are the city's largest employers. Adhesives manufacturer Henkel Surface Technologies, Lamphere School District, Madison School District and retailer Meijer also create a number of job options in Madison Heights. In Madison Heights and the greater Detroit metro area, the largest industries are trade and transportation, professional and business services, education, health services and manufacturing.These industries can be an excellent place to start your search if you're looking for a job in the area. If you can't find the right job in Madison Heights, commuting to Detroit is another option to consider. Schools in Madison Heights fall into one of two districts: Madison District Public Schools and Lamphere Schools. Madison District Public Schools cover the southern portion of Madison Heights, while Lamphere Schools cover the northern part. You can also consider one of the city's private schools, which include a Montessori campus and a parochial school. Utilities: DTE Energy and Consumer Energy are the city's primary energy providers. The Madison Heights utilities facilitate water and sewer services. Garbage and Recycling: You can expect regular weekly collection of your trash and recyclables. Your home's location determines your specific collection schedule. Transportation: Your primary public transit option in Madison Heights is the SMART bus system. Most of Madison Heights' housing stock is remarkably affordable. If budget is no concern, you can find the city's most luxurious and desirable housing in the neighborhoods surrounding downtown Madison Heights. Budget-friendly homes can be found throughout most areas of the city. Home and rent prices are both very affordable, so you should be able to find a comfortable home without exceeding your budget. Our lowest priced units in Madison Heights, MI average $51.50 per month. 187 people have reserved units in Madison Heights, MI in the past 30 days. There are 2 locations within Madison Heights, MI's city limits. There is 1 location in Madison Heights, MI that offers AC and Heating features.